The Toyota Highlander is a midsize SUV that’s built to give you, your whole family, and your cargo a safe, efficient, and stylish ride. So, what’s it like to grab a seat inside the latest model? 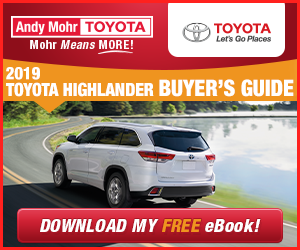 Andy Mohr Toyota takes drivers around Indianapolis, Avon, and Plainfield inside with this review of the 2019 Toyota Highlander interior. The 2019 Toyota Highlander has an ample amount of space for your cargo. Behind the third-row seats, you’ll have 13.8 cubic feet of cargo room. With two rows of versatile folding seats, you’ll be able to pack up many belongings for your trips. Fold down the rear seats and you’ll have up to 42.3 cubic feet of cargo room. With only the front seats standing upright, you’ll have a total of 83.7 cubic feet of cargo room. The spacious cabin also allows everyone to have a comfortable ride. Whether you’re behind the wheel or sitting in the back, you’ll be able to stretch out and relax. Visit Andy Mohr Toyota to test drive the new Highlander and get an up close and personal look at all its impressive features. 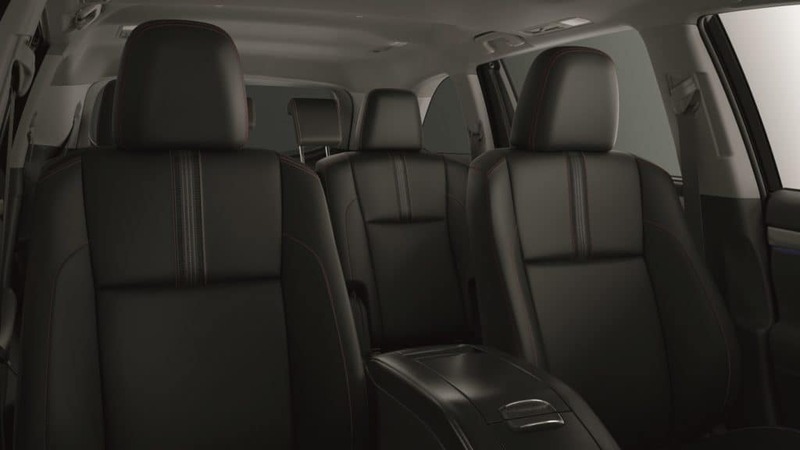 The 2019 Toyota Highlander interior provides drivers in Indianapolis, Avon, and Plainfield with everything you need for a safe, fun, and comfortable ride. Visit our premier Toyota dealership for a fun and professional car-buying experience.